glass bottles and jars can be picked up in a separate bin and recycled across the district. 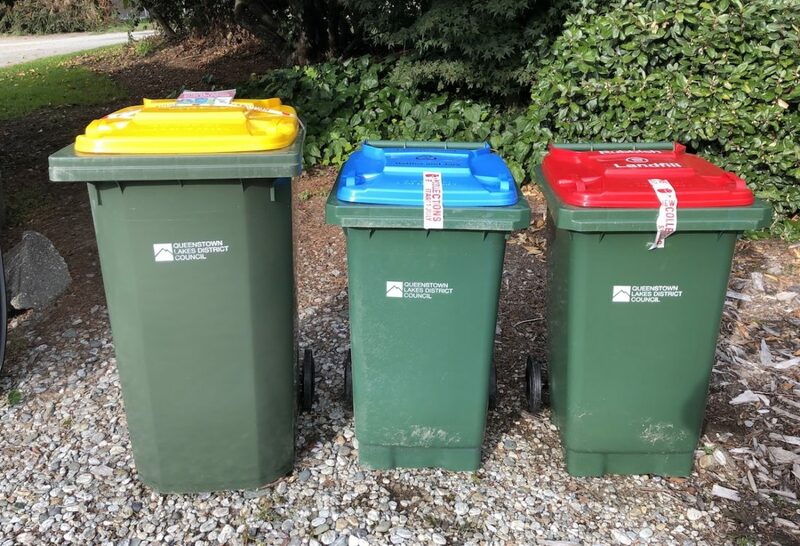 The new kerbside collections won’t start until 1 July, so don’t forget to keep using your old bins and blue bags until then. help out any absentee neighbours by taking their bins off the street. find somewhere to keep your new wheelie bins until the collection starts on 1 July. How will the three bin system work? You’ll have one wheelie bin for rubbish, and two wheelie bins for recycling. The smaller recycling bin will be for glass bottles and jars only. The bigger bin will be for mixed recycling (cans, cardboard, paper, plastic bottles and containers (1-7). It’s really important to put only glass bottles and jars in the glass recycling. A small amount of contamination could stop everyone’s glass being recycled. Rubbish bins will be collected every week. The glass bin and mixed recycling bin will be collected on alternate weeks. There's an info pack and calendar with the new bins. You’ll also be able to sign up for collection day phone or email reminders. What happens to the old bins? You can repurpose your old wheelie bin after 1 July if it’s useful to you. Otherwise you can drop it off to Frankton transfer station during opening hours for recycling. If you have any questions, call QLDC on 03 441 0499.